Over the next few weeks, Mythgard is running a free online course on Ursula Le Guin’s The Dispossessed. I’m rereading Le Guin’s Hainish books in order to prepare. The Telling is the most recent book in the series, published in 2000. 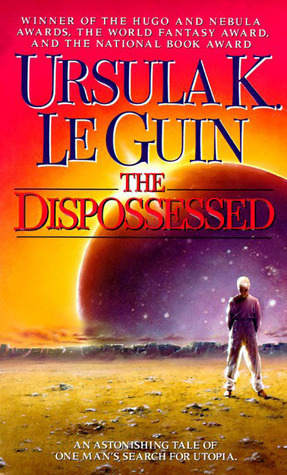 Over the next few weeks, Mythgard is running a free online course on Ursula Le Guin’s The Dispossessed. I’m rereading Le Guin’s Hainish books in order to prepare. 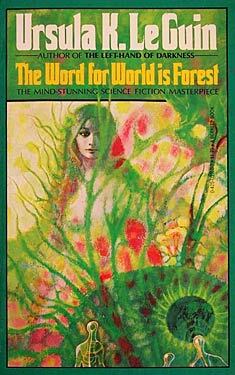 The Word for World is Forest continues Ursula K. Le Guin’s exploration of injustice. This time, she focuses on cultural and environmental destruction. In the distant future, humans colonize the planet Athshe for its timber resources. Le Guin alternates between Davidson, a human military officer, and Selver, an Athshean native whose wife Davidson had raped and killed. This isn’t one of Le Guin’s subtler novels, but it is a well written parable about the dangers of first contact. What would society look like without gender? How would love and politics differ if we were neither male nor female? Gender is such a critical part of our identity that this thought exercise turns out to be incredibly difficult. Almost all human stories have some element of romance, or at gendered norms. In The Left Hand of Darkness, Le Guin asks readers to shed our cultural baggage and explore a humanity beyond gender. BBC has released a radio dramatization of Ursula K. Le Guin’s Earthsea. A Wizard of Earthsea is one of my favorite novels and I hope to reread and review it later this year. You can listen to the whole thing for free here.